a blackening process specifically designed for Aluminum, Brass and Copper. Both the blackener and sealant may be applied by brush or immersion techniques. 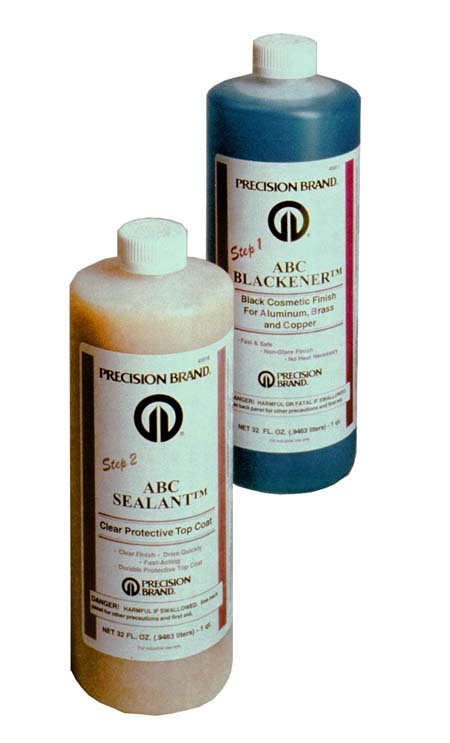 ABC Sealant seals in the black finish, or it can be used independently to provide a tough, durable, corrosion resistant gloss finish to uncoated bare steel surfaces as a clear rust preventative.